I hade this concept in 1995 and now i had the chance to make it.Its a very clever box.If you know the solution its also a tryal. it has 16 combinations to open the box.I am not yet going to show anything because this is the prototype and somethings will change.also i will make one with 256 combinations.its a form of lock mechanism. 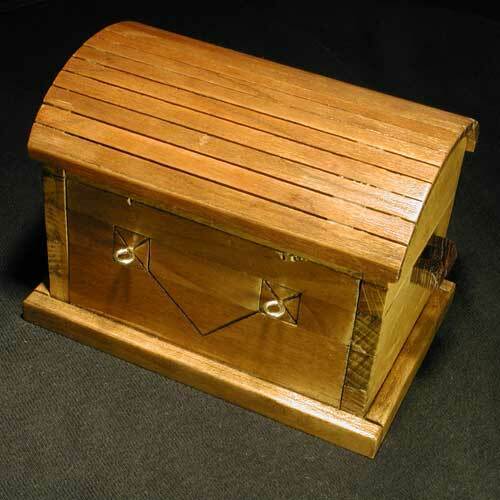 See more pics of the "grandma's trunk" puzzle.or Back to puzzle index.